William Offutt (Offord, Offoot) was granted over 10,000 acres of land at the junction of what is now River and Falls Roads. This area of land became known as Offutt's Crossroads. By 1724 settlers made farms, families and a life along the fertile hillsides and lush banks. It would be another hundred years before substantial commerce would visit the area. 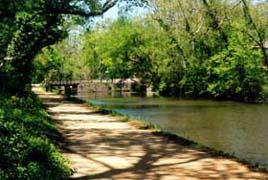 it was not until 1829 that the cornerstone was laid marking the completion of the C&O Canal. The Canal created both a means of trade through Offutt's Crossroads and a way of life for lockkeepers and their families. The waterway brought new speed and a new path of transportation. In a time when the 17-mile trip along Conduit Road (now MacArthur Boulevard) meant six thick inches of dust in the summer, eight to twelve inches of mud in the winter, and countless hours of travel for the horse and wagon, a Canal boat ride to Georgetown was now a leisurely four hour cruise. By 1861, prospectors had uncovered the first gold mines along the Canal, bringing an entirely new industry to the area. (A total of about $90,000 of gold was mined and sold to the U.S. Mint in Philadelphia during the mine's lifetime.) Within a dozen years, land was selling for $10 to $30 an acre, and farms grew up producing bushels of wheat, potatoes, oats and corn. In the late 1800s a two story frame house went for $400, and county taxes were $1.73. Eighteenth century Potomac was rich with tobacco farms, but over cultivation so depleted the soil that the land would never again support farming. In 1880 the Crossroads was renamed Potomac by the area's first congressman, Major MacDonald. Winfield Offutt (Father of Harold H. Offutt) and Thomas Perry were partners in a store on the northeast corner of the Crossroads (now Chevy Chase Bank) until 1871, when Perry opened his own store across the road (now Mitch & Bill's Exxon). The Perry Store housed a post office and sold dry goods, toys, kerosene, and salted meat and fish. Perry later built a stately home of handmade cement blocks (currently W.C. and A.N. Miller Real Estate) on the southwest corner of the intersection. Nineteen twenty-four saw both the advent of electricity in the area and, the closing of the C&O Canal. By the 1930s Falls Road was a paved thoroughfare, and fox hunting the unofficial sport (and social rite) of choice. In 1939 Offutt's store became a beer parlor (a real community gathering place). In 1948 the beer parlor was razed to make way for the first shopping center (Potomac Village). Potomac became a mecca for horse lovers starting in the late 1920s, when Washington's fox hunters began to look away from their growing city for more open spaces in which to pursue their sport. Many members of the Washington Hunt (established in the early 1800s on 14th Street near the Willard Hotel) and the Chevy Chase Hunt (organized in 1892) moved to Bradley Farms, on River Road, adjacent to what is now Harrington Drive. 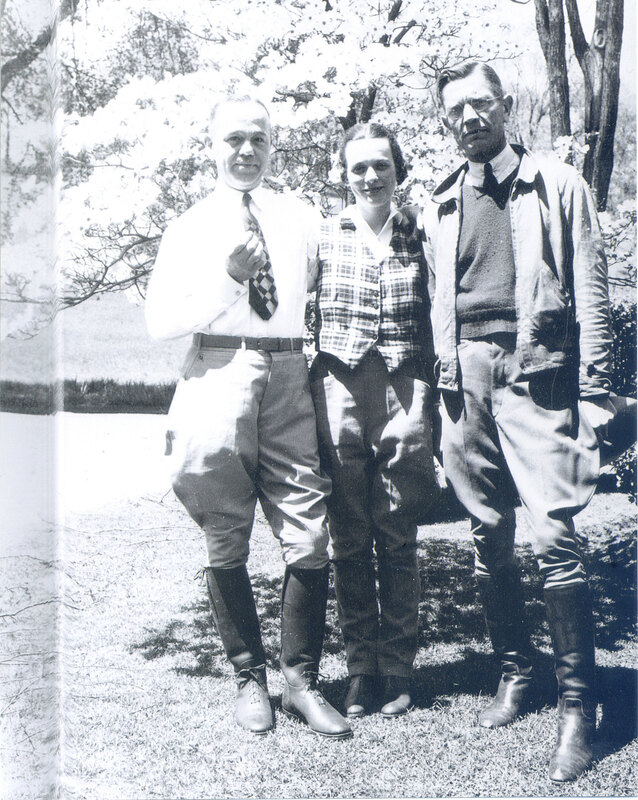 The Potomac Hunt officially moved to great Elm farm and, finally, to its kennels on Glen Road in the 1940s. It is presently located in Boyds. "Offutt Island" which stands in the Potomac river is today a nature preserve due to the many endangered plant species. Offutt land tracts ran from Rockville to Upper Marlboro and southwest to the Potomac. 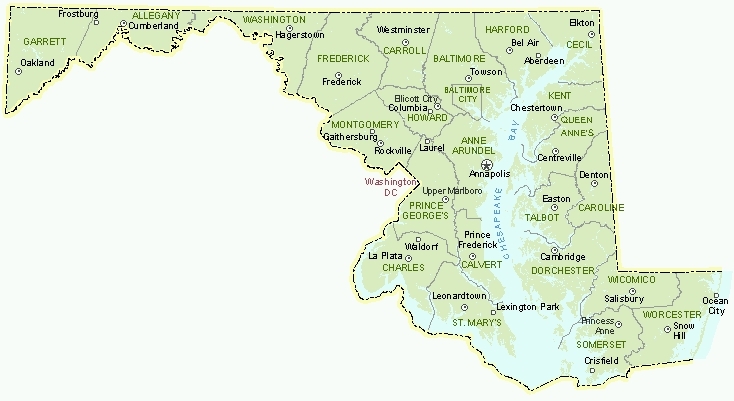 In 1791, Maryland donated land from Montgomery and Prince George's counties to be used for the nation's new capital city known as Washington, D.C. This area was once an important farming area for the Offutt family. Jousting became the official sport of Maryland in 1962 (Chapter 134, Acts of 1962; Code State Government Article, sec. 13-308). Maryland was the first state to adopt an official sport. Jousting tournaments have been held in Maryland since early colonial times but became increasingly popular after the Civil War. Retaining the pageantry and customs of medieval tournaments, modern competitors are called "knights" or "maids", and many dress in colorful costumes. Men, women and children compete equally with skill and horsemanship determining the class. 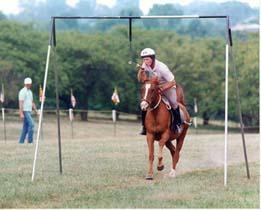 Tournaments conducted in Maryland are "ring tournaments" which involve charging a horse at full-gallop through an 80-yard course toward suspended rings. Using a long, fine-tipped lance, the rider has 8 seconds to complete the course and "spear" the rings, scoring points accordingly. From three equally-spaced arches, rings are hung 6 feet 9 inches above the ground and range in diameter from one-quarter inch to nearly two inches depending upon the skill-level of the contestant. A family sport, jousting skills frequently are passed from one generation to the next.